Soaking: it’s important to remove the appliance daily for a thorough soaking. Most wearers wait until bedtime to perform this task. You can use a dentist-recommended soaking solution, a mixture of vinegar and water, or simply warm water if your dentures have metal fixtures. Cleaning: just like natural teeth, dentures require daily cleaning using a toothbrush. Good choices for the cleaning liquid include dental paste, nonabrasive toothpaste, dishwashing liquid, or soft soap. Handling: use care when removing or replacing your dentures. Keep a plush towel or basin of warm water underneath the dentures when cleaning them, in case they slip out of your fingers and fall. Always store them beyond the reach of children or pets. Never place them near heat sources or try to adjust their shape without your dentist’s guidance. Checking: you may notice over time that your dentures don’t fit in quite the same way. This is probably a sign that they need relining due to changes in your facial profile. See your dentist right away if you notice this concern. Massaging: it’s important to care for your gums as well as your dentures, whether you’re wearing a full or partial restoration. You should gently clean and massage your gums daily, using either a soft bristle brush or a clean, damp cloth. Difficulty eating: cut your food into bite-sized portions and avoid hard or sticky items. You can also try chewing your food on both sides of your mouth to prevent dislodging your dentures. Trouble speaking; this is a common challenge faced by new denture wearers. One way to deal with it is to practice speaking while you’re alone, using a recording app on your smart device to hear how you sound. Gradually transition to social and public events as you gain skills and confidence. 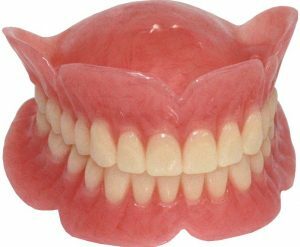 Slippage: most denture wearers are able to partially compensate for this problem by learning how to hold the appliance in place with their cheeks and tongue. Denture adhesives can help as well. You may also want to consider switching to an implant-supported denture, which avoids the limitations associated with traditional dentures. Your dentist in Parma Heights can recommend other ways to get the most value from your dentures. Talk to him or her about the topic during your next appointment. You’ll soon be smiling brighter than ever before. Dr. Glenn Shtarkman has been practicing dentistry since earning his DMD degree in 2005. An excellent general dentist, he’s also skilled in many cosmetic and restorative techniques, including implant placement. You can reach his office online or by calling (440) 885-5354.